From the 24th to the 28th of March 2014, the Ethiopian Federal Ministry of Health (FMOH) and UNICEF Country Office had the pleasure to host a team from Khartoum composed of the Sudanese FMOH (planning, nutrition and IMCI departments), WHO, WFP and UNICEF. 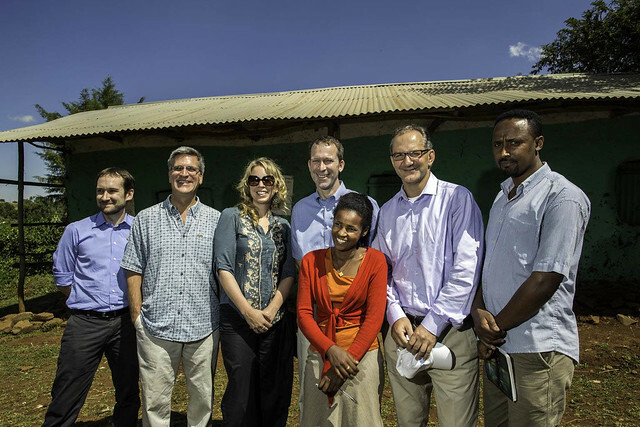 The objective of the visit was to learn how Nutrition has been integrated in the Health system and how the Government of Ethiopia managed to bring Health & Nutrition services to the doorstep of its people. Following an opening meeting with the State Minister of Health, H. E. Dr Kedede Worku, the team proceeded directly to the domestic airport heading to East Hararghe zone of Oromia region. They were introduced to the programme by the Zonal Health Department’s head, Ato Ali Abdulai, before visiting Babile and Gursum woredas. In the two districts, they were able to visit and discuss with the one-to-five network, a team of Health Development Women; female Health Extension Workers working in health posts; Health Workers in health centres and finally, nurses and doctors in Bessidimo hospital. In Harare, Frehiwot Mesfin presented a project managed by Haromaya University, with the support of UNICEF and FAO, to produce complementary food for children under two years of age using exclusively locally available ingredients. Back in Addis Ababa, the team had the opportunity to visit the local producing factory for Ready-to-Use Therapeutic Food, Hilina PLC. On the last day, during the debriefing meeting at the FMOH with Ato Birara Melese, head of the Nutrition unit, the visitors appreciated having been able to see all levels of the Health system, from the Federal Ministry down to the households with the one-to-five network. They said that they were impressed by the very well organised and functional system and confident that they can adapt the Ethiopian experience to integrate child and maternal Health & Nutrition to the lowest level. Sudan is working hard to accelerate the achievement of the Millennium Development Goal 4 – to halve child mortality by 2015. Wudinesh Demisse raises her hand above her head, showing off the matchstick-sized birth-control implant embedded just beneath the skin of her upper arm. 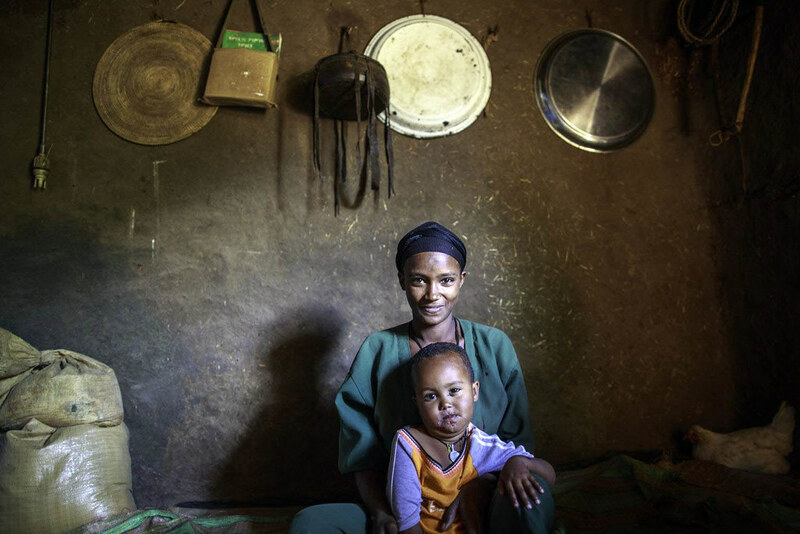 Wudinesh, who lives in a small village 200km south of the capital, Addis Ababa, is one of millions of Ethiopian women who have gained access to modern forms of birth control over the past decade. Today, her local health post stocks a range of products, from condoms and pills to longer-acting injections and implants. 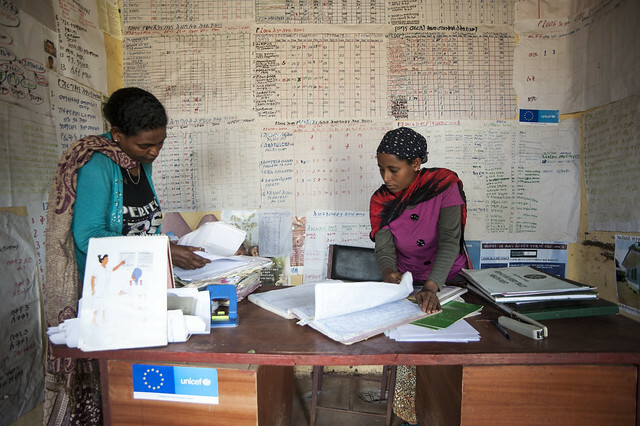 Ethiopia is increasingly touted as a family planning success story. The government, which has made maternal and child health national priorities, is proud of its statistics – the country’s contraceptive prevalence rate, for example, jumped from 15% in 2005 to 29% in 2011 – and says efforts to reach remote, rural areas lie at the heart of its success. “If you were a kid born in 1990 [in Ethiopia], you had a 1 in 5 chance of not surviving to your fifth birthday,” says Peter Salama, who directs UNICEF’s efforts in Ethiopia. Since then, the country has improved that survival rate by about 60 percent. “So [Ethiopia has made] a tremendous achievement in the space of two decades,” Salama says. This progress isn’t a result of expensive international aid or the recruitment of foreign doctors into Ethiopia. Instead, the country has invested in simple, bare-bone clinics scattered around the country, which are run by minimally-educated community health workers. Gudaal’s role at the post is a bit like the old image of a small-town pediatrician. But she isn’t even a nurse. Instead, Gudaal, along with all the other health extension workers, has gone through a special, one-year training program. Her salary also isn’t anywhere near that of a pediatrician. She earns roughly $35 each month. 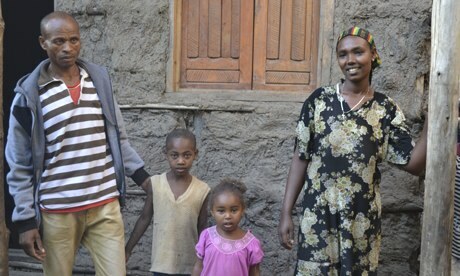 But Gudaal can still treat the diseases that often cut a child’s life short in Ethiopia. And she can make sure kids in the village are up to date on their vaccines. One of the main conditions Gudaal deals with is malaria. The parasite kills about 600 million people worldwide each year, and the vast majority of those deaths occur in children under age 5. Gudaal can diagnose and treat most malaria cases at her health post. She can also easily treat diarrhea and respiratory infections, two other major killers of children in the developing world. Gudaal lifts several vaccine vials out of the fridge. She not only administers immunizations, but she also keeps records for who in the village needs shots and boosters. Quite simply, it has saved lives. “Children are now treated right across the country on a scale that was previously unheard of around the world,” he says. “Take acute severe malnutrition, for which Ethiopia was famous in the ’70s and ’80s,” Salama says. “Today, successfully, these same lady health workers treat 300,000 children [each year] for severe malnutrition.” Previously, these children would have most invariably died, he says. Despite these improvements, Ethiopia still has a long way to go when it comes to children’s health. Malnutrition is still the leading cause of death for children under age 5 in the country. 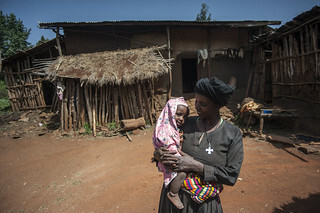 Nearly 20 percent of Ethiopian babies are born underweight, weighing less than 5 1/2 pounds. And about 40 percent of kids don’t reach a normal height because of malnutrition. But, Salama says, the beauty of Ethiopia’s health extension program is that it’s sustainable. It’s run by the government, not a foreign foundation or agency. So as long as there’s the political will, it’s able to reach kids across the country.